Eve Lieberman, who served as Polis' congressional chief of staff, will become the governor's chief policy advisor and legislative counsel. Maria De Cambra, a former mayor pro-tem of Westminster, will serve as the governor's communications director. "Each member of our team brings their own unique experience and expertise to the table and I know we will accomplish great things for Coloradans together," Polis chief of staff Lisa Kaufmann said in a press release. Polis is also keeping some of outgoing Gov. John Hickenlooper's senior staff at the statehouse. Lauren Larson will stay on as director of the Office of State Planning and Budgeting, where she has served since July. Jacki Cooper Melmed will continue to serve as the governor's chief legal counsel. Hickenlooper hired Melmed back in 2015. The Polis transition team has been busy in recent days sorting through more than 700 applications for jobs in the governor's cabinet. More hiring announcements are expected before Polis takes the oath of office Jan. 8. 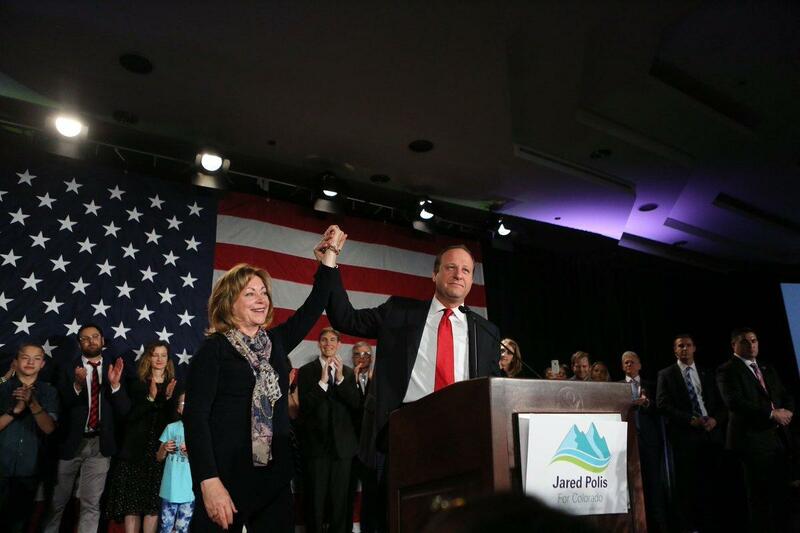 Eve Lieberman, currently Chief of Staff to Congressman Jared Polis' congressional office, will continue to be a close confidant of Gov.-Elect Polis while serving as top advisor on his legislative and policy agenda. She will also serve as the administration's lead for policy and legislative efforts, including managing the legislative and policy departments. Former State Treasurer and CFO of Denver, Cary Kennedy will be charged with looking for long-term creative fiscal policy solutions--a role she is uniquely qualified to hold and has demonstrated success for the City of Denver. Most recently state director of State Innovation Exchange (SIX) and previous Chief of Staff to the House Democrats for two separate Speakers, David will lead the day-to-day legislative team and brings with him extensive legislative experience. Wade will be reviving the role he fulfilled for Gov. Romer as policy director, having most recently served as Gov. Hickenlooper's senior advisor on Aging. Prior, he led the Bell Policy Center for more than 15 years. Wade brings an unparalleled breadth of policy and institutional knowledge to the team. Maria is the former Mayor Pro-Tem of Westminster's City Council and Managing Director at the Campaign for a Strong Colorado. Most recently, she was Senior Associate at prominent public affairs firm, Hilltop Public Solutions. Maria will be leading the Gov. 's communications and outreach strategy. Kate is a longtime staffer to Congressman Jared Polis, serving as his national finance director for the past seven years. She joins the team with a keen awareness of the administration's network and its goals. Danielle rejoins the Polis team after a four-year hiatus working as a sustainability advocate in San Francisco. Prior, she worked on Congressman Jared Polis' campaigns and in his congressional office in various roles since 2008. Jacki Cooper Melmed will continue to serve the Polis Administration in the role she has fulfilled for the Hickenlooper Administration since 2015. Prior to public service in the Gov. 's office, she gained extensive legal experience at Shoemaker, Ghiselli + Schwartz, and Hogan & Hartson, LLP. Jacki also served as a law clerk for the Honorable Michael Bender in the Colorado Supreme Court. Lauren will continue serving as the director of OSPB, a role she has fulfilled since July for the Hickenlooper Administration. Prior, she managed a $50 billion budget at the White House Office of Management and Budget where she was Chief of the Treasury Branch under Presidents Bush and Obama. Prior to her work in public service, Lauren was an economist at PricewaterhouseCoopers.